X-Treme Battle. The meanest combat game ever. A new head-to-head combat game from the staff that brought you the Street Fighter II series. Use wichever of the 10 unique characters it takes to get you to the end of the game! All sorts of new twists provide an infinite variety of ways to fight the enemy, including "X-Power," which brings into full play each chararter's individual strengths, such as "Flying," "Healing Ability," "Invisibility," "Bunsin," and many more! After attacking to build up a certain level of power, the "X-Power Gague" kicks in, enabling the player to tap the character's special abilities! 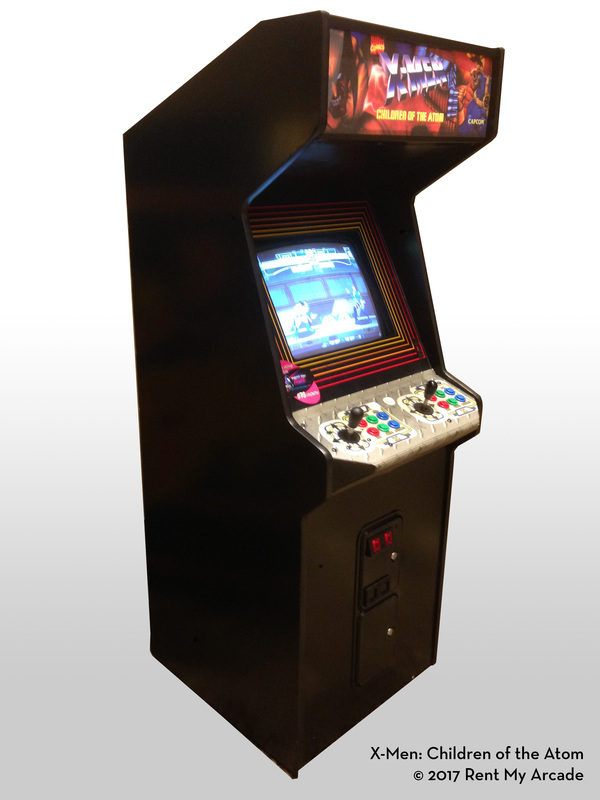 Note: This game plays in the same cabinet as the 6-in-1 Multi-Cabinet. Both games can't be rented at the same time.